The Wall Street Journal was able to get the CEO of one of the most powerful companies in the world to partake in a Q&A. 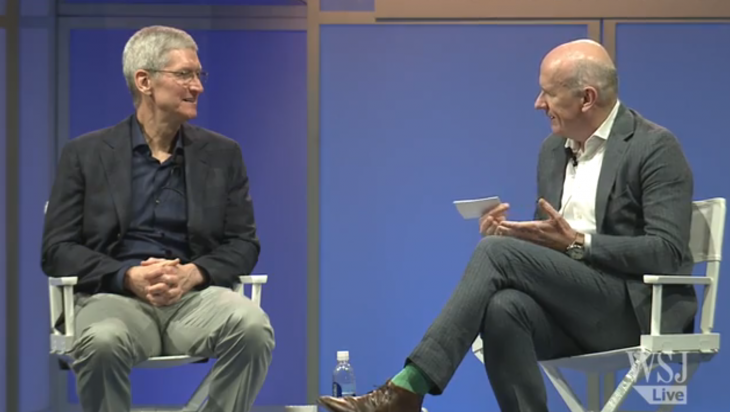 Now you can finally watch the entire interview of Apple CEO Tim Cook from the comfort of your computer. At the WSJD Live conference, Apple CEO Tim Cook talked about the payment skirmish that reared its head after the launch of Apple Pay, the upcoming Apple Watch and Apple’s view on the future of TV.